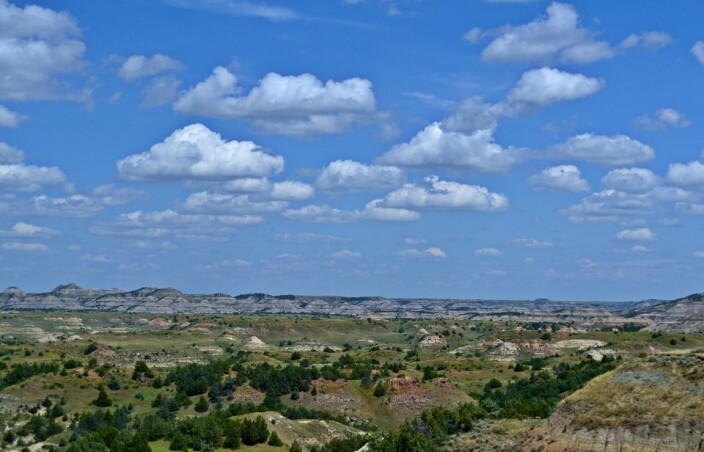 The American West is such a vast, sprawling expanse of land encompassing so many diverse geographical regions that I think anyone who has seen most of it would be hard pressed to designate any one place as their favorite. I find myself facing much the same dilemma when someone asks me to name my favorite national park. Sometimes I think the answer would be whatever one I happen to be in right now, or have most recently visited. Maybe that’s a glib answer but it often feels like the truth. I’ve been fortunate enough to visit over twenty of the USA’s national parks and can honestly say they’ve all been worth the time and effort to get there. 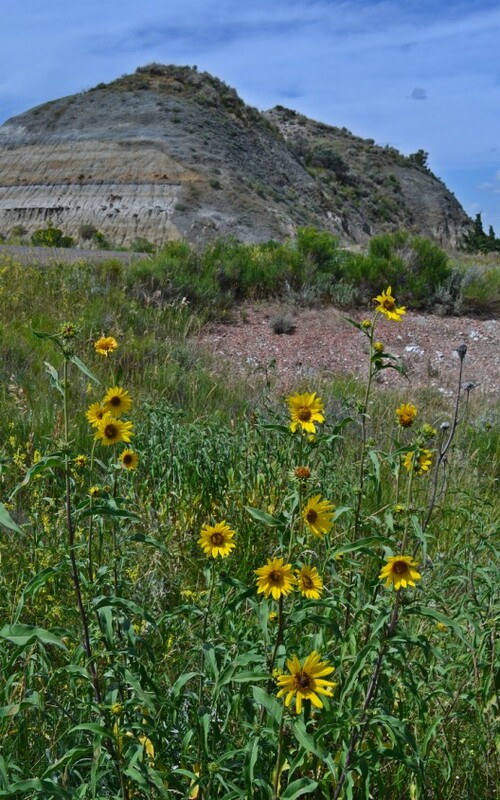 On our most recent summer road trip we enjoyed stopping at four national parks and two national monuments. 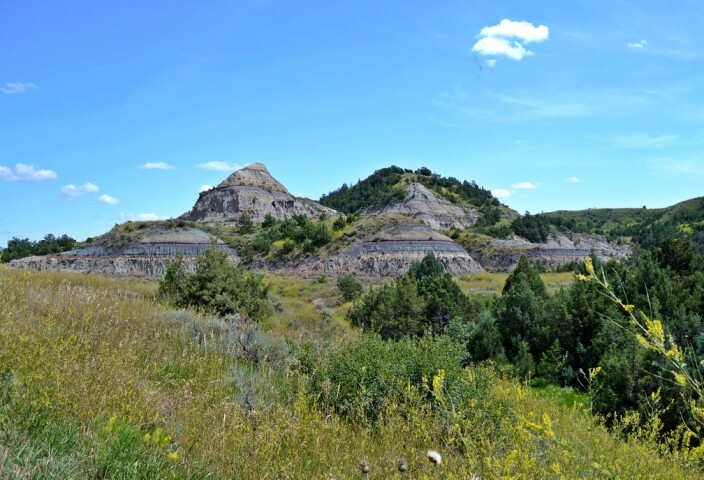 Three of the parks – Yellowstone, Glacier, and Badlands – and both of the monuments – Devils Tower and Little Bighorn Battlefield – I’ve had the pleasure of visiting before and greatly enjoyed returning to them. 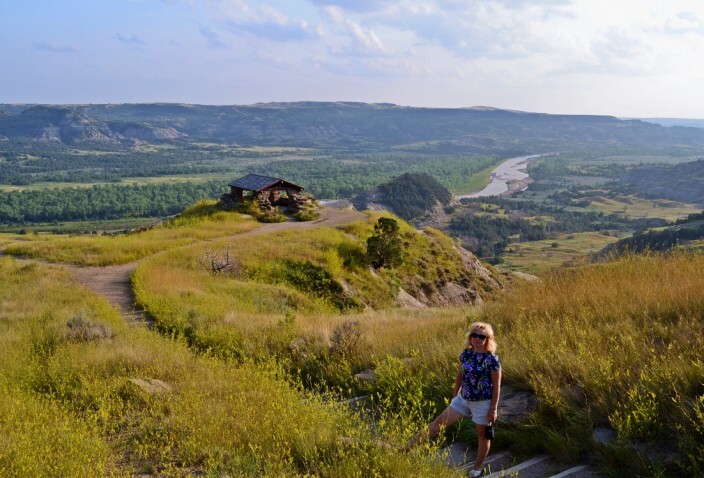 The one new stop for me on our itinerary was Theodore Roosevelt National Park (TRNP) in North Dakota. 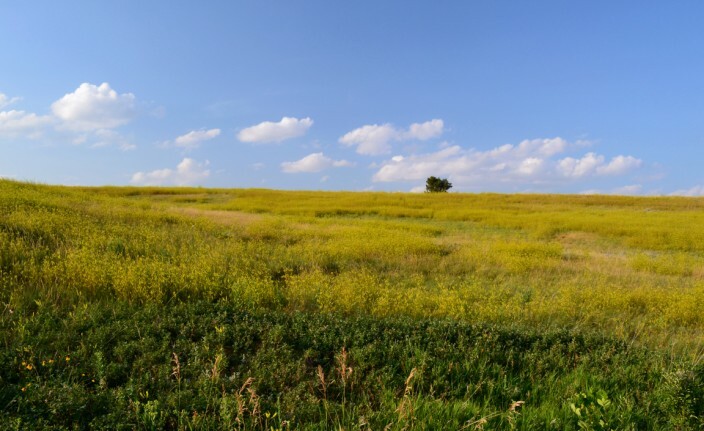 The region was originally designated as the Roosevelt Recreation Demonstration Area in 1935, then in 1946 it was briefly known as the Theodore Roosevelt National Wildlife Refuge. 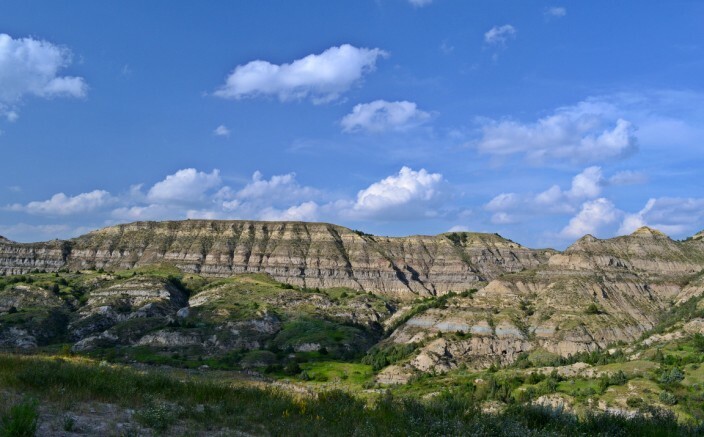 President Truman established the Theodore Roosevelt National Memorial Park on April 25, 1947, and finally in 1978, with additional boundary adjustments, the park’s designation was changed to Theodore Roosevelt National Park. 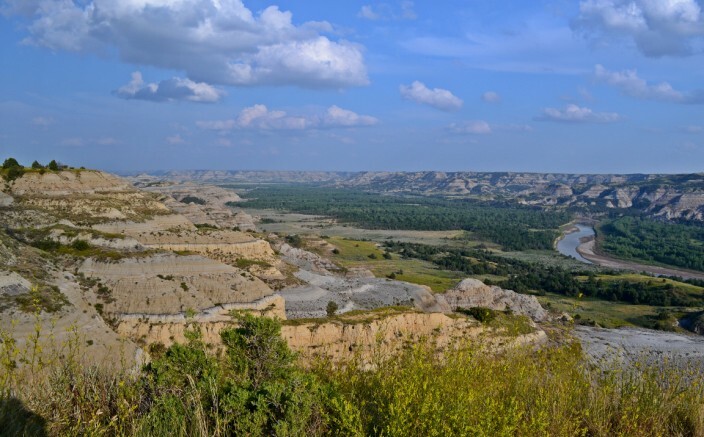 It remains the only national park named for an individual person, and most fittingly so. Although Theodore Roosevelt (TR) did not begin the the USA’s national park system, it is no exaggeration to say the size and scope of our national parks would not exist in their present day form if not for the foresight and tenacity of TR during his presidency. 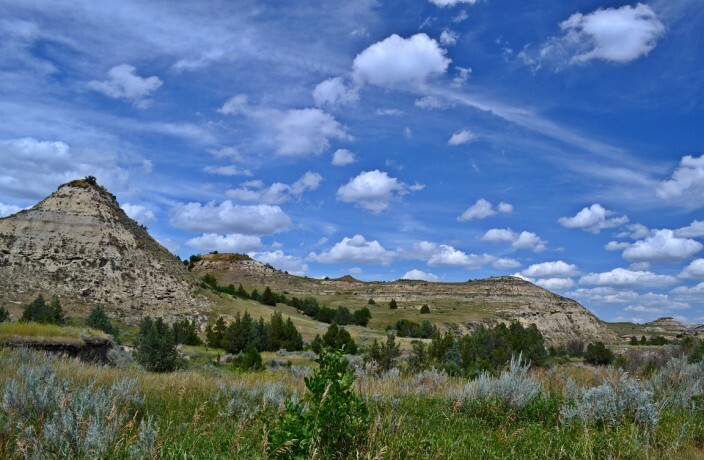 During his time in office, TR established the U.S. Forest Service, proclaimed eighteen national monuments, got Congressional approval for five national parks, fifty-three wildlife refuges and set aside land as national forests, saving some of the nations’s most valuable, scenic, and historically important lands for the future use and enjoyment of everyone. 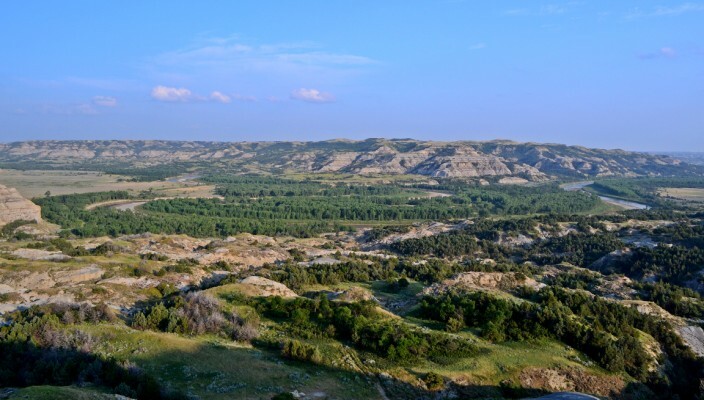 Roosevelt’s abiding love and affection for these rugged badlands of North Dakota came about during his first visit to the area in 1883. 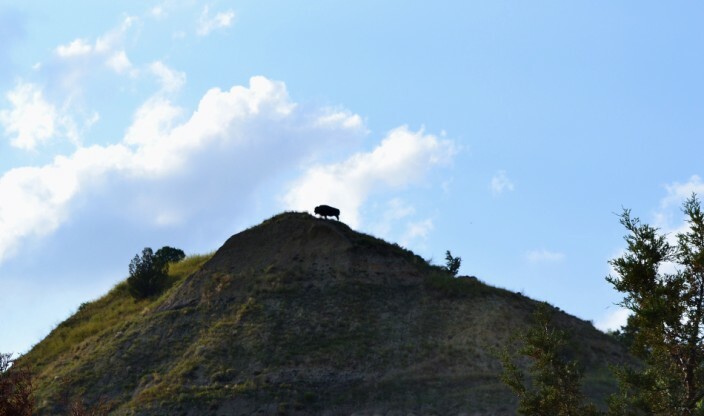 He came to hunt bison and left a man transformed by the “perfect freedom” of the West and his time there. 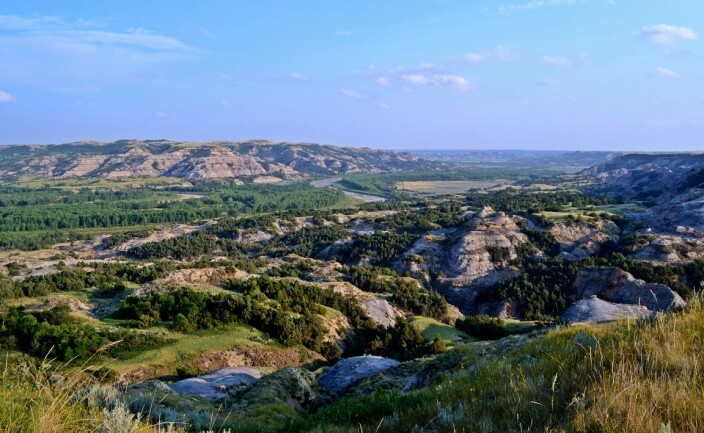 In his autobiography, Roosevelt wrote that without the lessons and experiences gained in his western sojourns – he returned many times as cattle rancher and hunter – he would not have become the man he was in any sense, including as President. 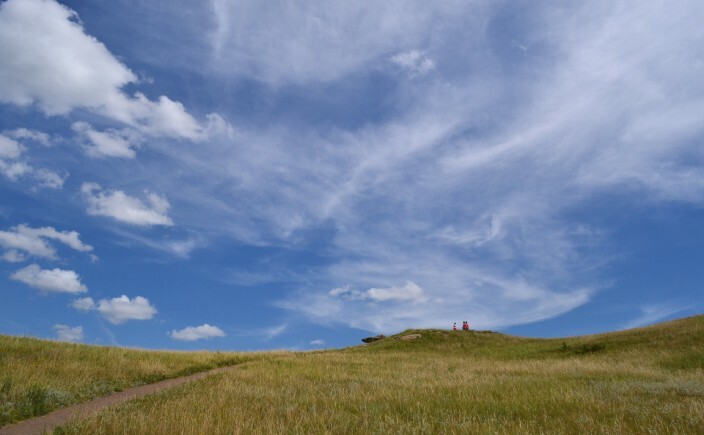 The park itself is unusual in being divided into three separate units: South Unit, North Unit, and the Elkhorn Ranch Unit which is located about halfway between the other two. 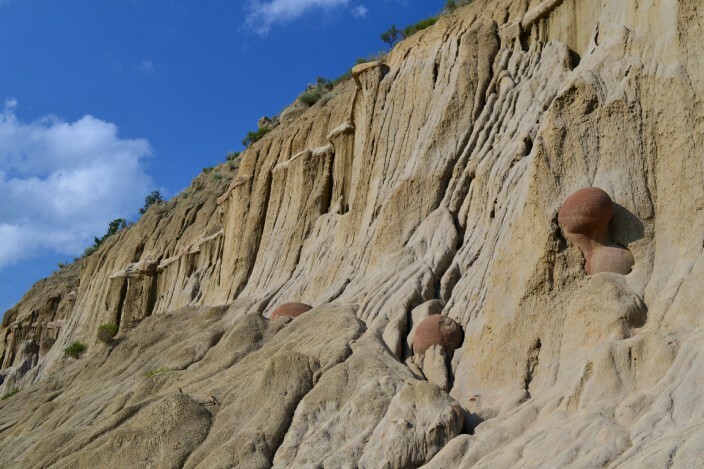 All three of them are tied together by the Little Missouri River, the major force in carving these magnificent canyonlands throughout the ages. 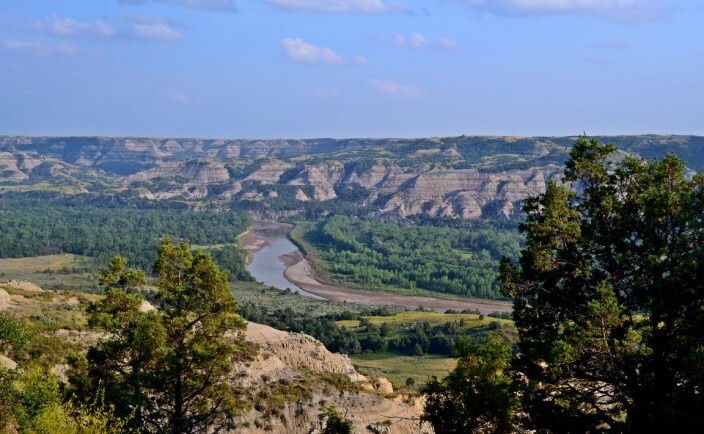 The South Unit is the largest and the most easily accessed, lying just north of I-94 in extreme western North Dakota. 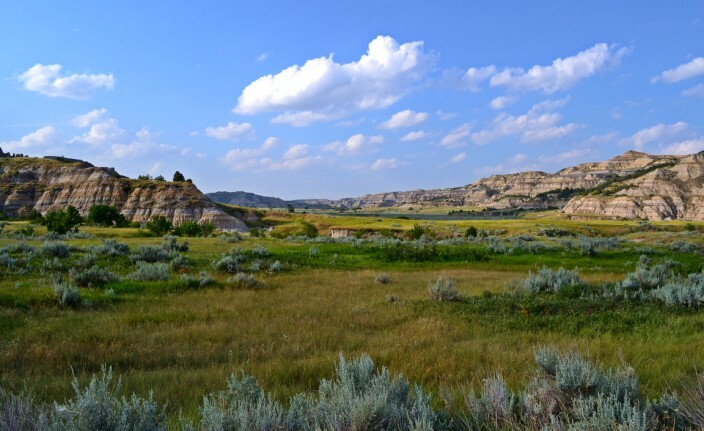 The town of Medora serves as entryway and park headquarters, but we didn’t spend much time there. 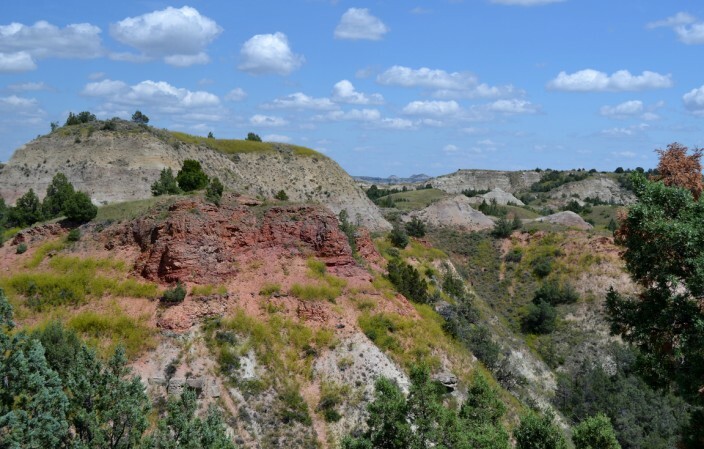 Medora struck me as a pretty average small town comprised of the usual tourist trap shops and attractions. Maybe that’s a little harsh, but honestly we just wanted to get into the park and see it. The main visitor center is located a short drive inside the park boundary and well worth a stop. 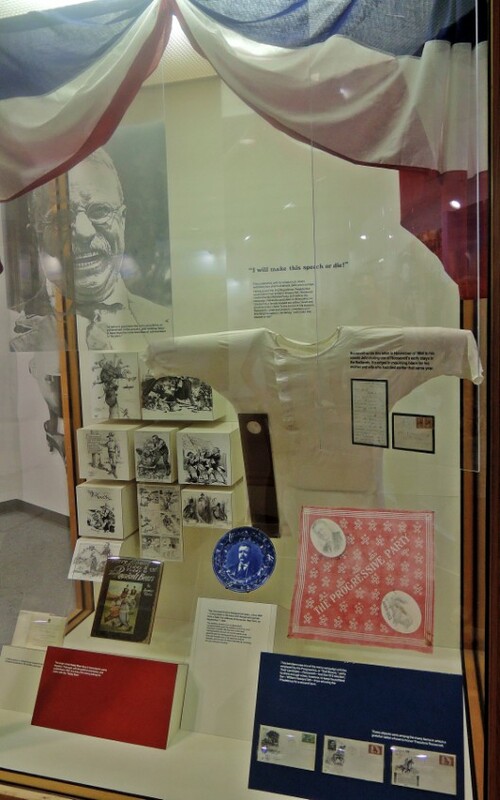 They have extensive exhibits on the flora and fauna found in the park and some great TR artifacts including several of his hunting rifles and outfits, and my personal favorite, the shirt he was wearing during the unsuccessful assassination attempt against him on the campaign trail in 1912. You can see the bullet hole right there in the side of the shirt where it hangs in the display case. Of all the colorful Teddy Roosevelt stories – and there are bushels of them – this is the one which, for me, epitomizes him at his indefatigable best. Running for a third Presidential term in 1912 as an independent candidate for the Progressive “Bull Moose” Party, Roosevelt had arrived in Milwaukee to give a speech. Seconds after Roosevelt emerged from his car, a man fired his revolver point blank at Roosevelt. The shot hit TR in the chest but was luckily slowed by his heavy coat, a steel-lined eyeglass case and Roosevelt’s fifty page speech which he had fortuitously crammed into his inside coat pocket. Bloodied but undeterred, after some minutes of medical attention and despite the protests of his staff and the doctor present, TR went ahead and gave his entire ninety minute speech, and carried the bullet in his chest the rest of his life. I don’t care what your opinion of Roosevelt might be on a political level, but that’s a man! 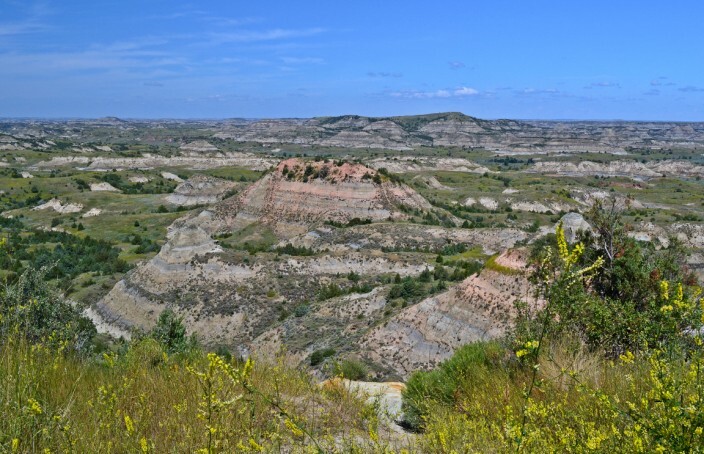 For TRNP visitors, the best way to see the South Unit of the park is to take the 36 mile long loop road which winds throughout the unit offering grand views with plenty of scenic turnouts. 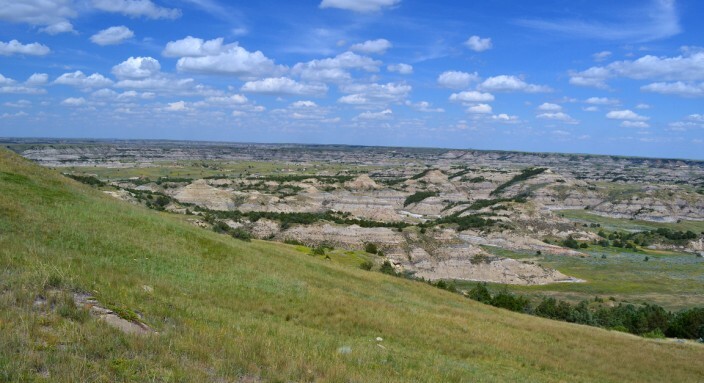 As with most national parks the best way to see it is, of course, on foot or horseback. But if you don’t have the time to do that the loop road is the next best thing. 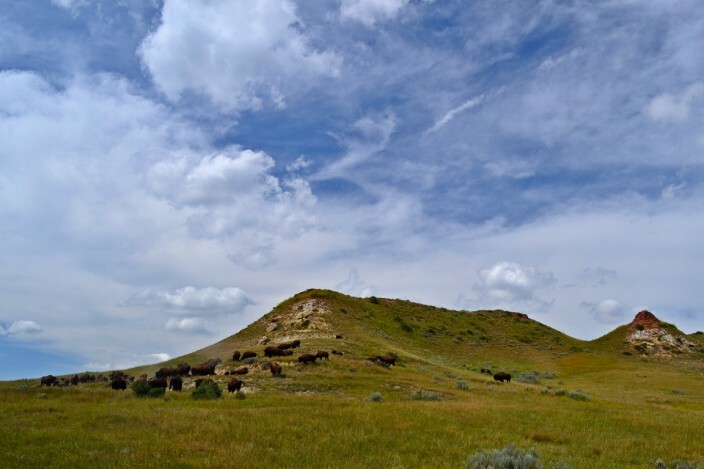 In TR’s own words, “The Bad Lands…are so fantastically broken in form and so bizarre in color as to seem hardly properly to belong to this earth.” Wildlife abounds and you’d have to be the unluckiest person alive not to see some bison, elk or deer. 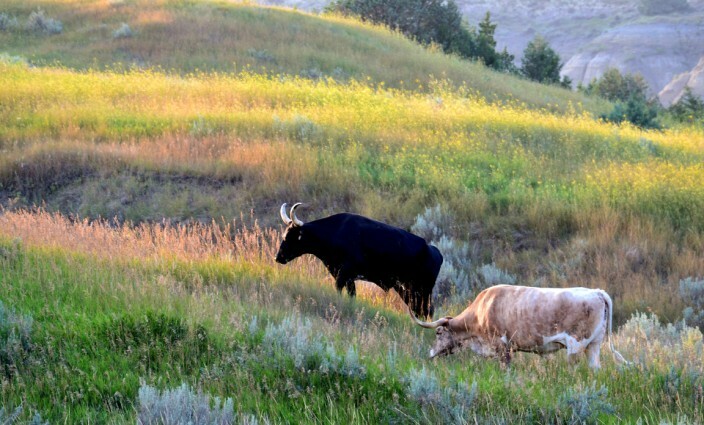 Herds of wild horses can be found in the park and also longhorn cattle – both of which we were fortunate enough to see – originally introduced to the area by Roosevelt the rancher. 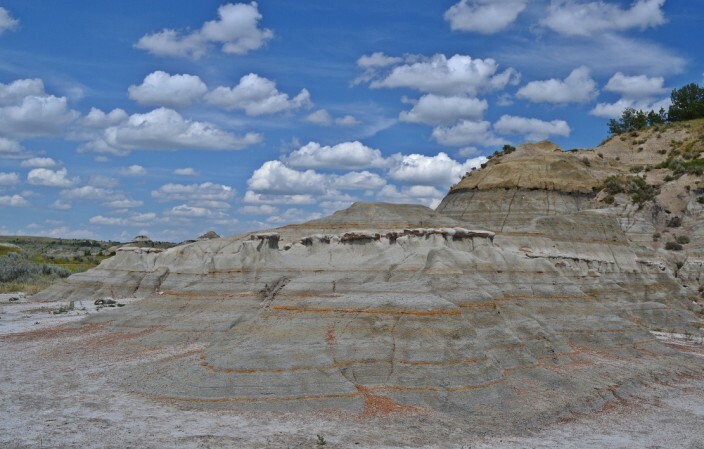 The North Unit of the park lies eighty miles north of the South Unit on U.S. Highway 85, about fifteen miles south of Watford City, N.D. The North Unit is smaller but every bit as scenic as the South Unit. In fact, for my money, I liked it even more. The rolling hills, buttes and canyons are just a little greener, a little more lush, less harsh and austere than the land further south. The other thing I enjoyed here was the relative solitude. It’s only natural that the South Unit receives the bulk of the park’s visitors as it is an easy hop off of I-94 and within five to ten minutes you’re inside the park boundary. The North Unit, in contrast, isn’t on the road to much of anywhere and correspondingly receives far fewer visitors. After the teeming, crushing hordes of people we encountered during this trip (and the accompanying traffic jams) in Yellowstone, Glacier National Park, Mount Rushmore, etc., it was truly refreshing to wander through the wide open expanses of TRNP’s North Unit and encounter very few other vehicles and people. In several places we were able to stop, park the car, amble down a trail to some overlook and have the view all to ourselves with only the constant wind and an occasional bird call for a soundtrack. 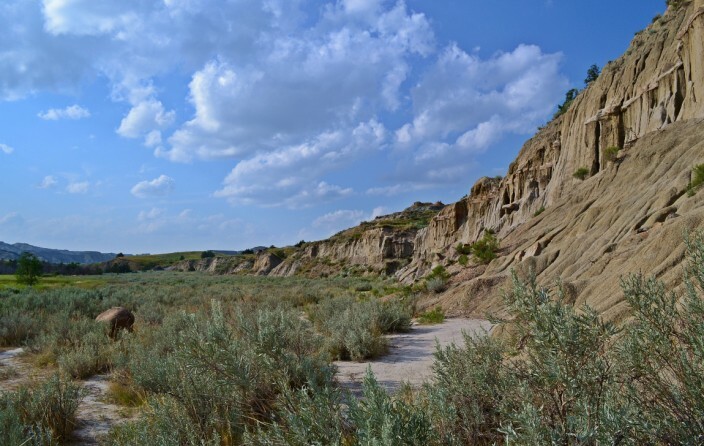 Due to time constraints (meaning it was nearly sundown by the time we finished up at the North Unit) we were unable to get to the Elkhorn Ranch Unit of the park on this trip. 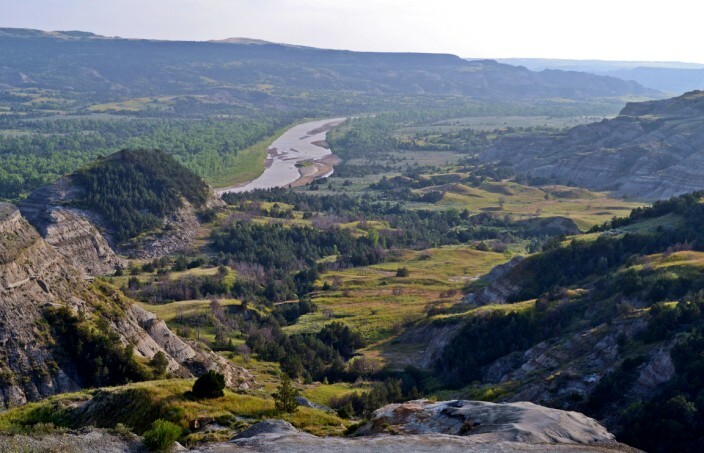 But having been there once, I know for certain the next time we are anywhere near this part of the country we will make it a point to spend more time in TRNP. 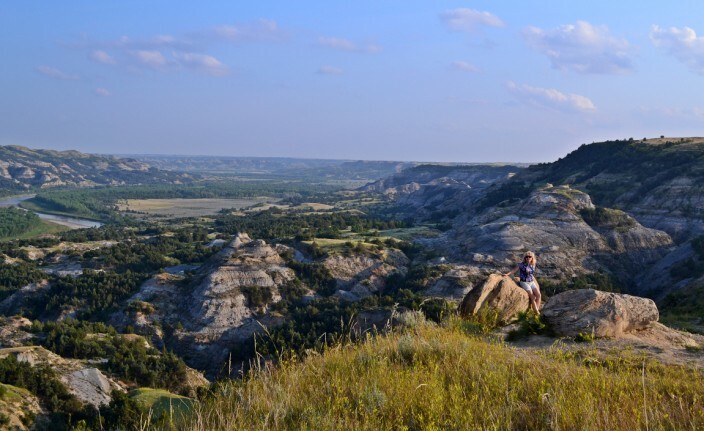 If you love the Big Country of the American West, if you’re looking for a national park not overrun by ginormous mobs of other tourists, or just enjoy discovering slightly off the beaten path attractions, TRNP is the place for you. Give it a try, I think you’ll like it.